Musician's Gear Braided Instrument Cable 1/4" Green 10 ft. 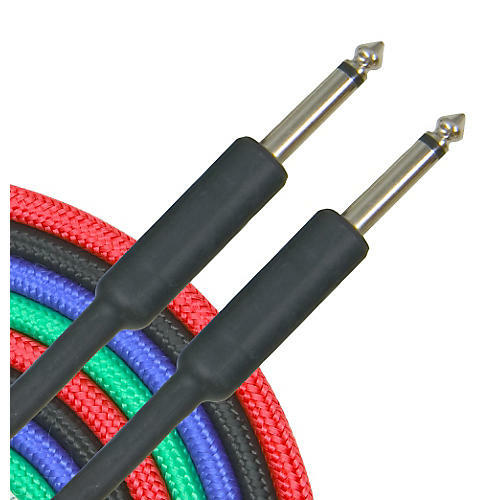 These affordable, entry-level cables sport nylon braiding that protects the cable against cuts and breaks caused by kinking, things falling on it, or things rolling over it. Available in assorted colors and a variety of lengths so you can outfit your whole rig and easily identify which cables go where. You can never have too many good cables! Call or click to order some today!